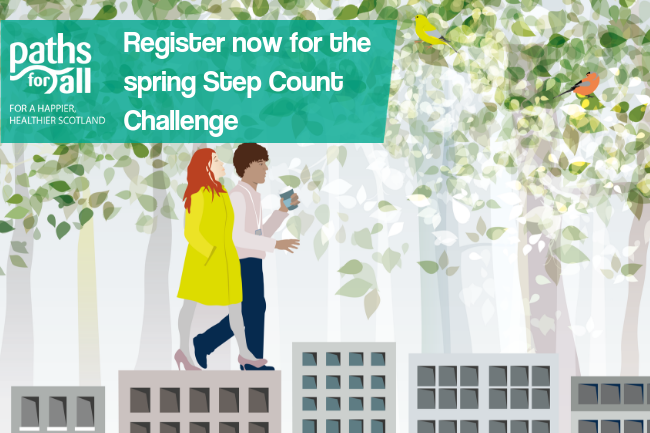 Registration is now open for Paths for All’s spring Step Count Challenge, which begins on Monday 29 April. For eight weeks, teams of five from workplaces across Scotland will track and record their daily step count, take part in weekly competitions, and challenge themselves to walk more. Using pedometers, mobile apps and fitness trackers, participants track their steps whilst walking to work, going for a lunchtime stroll, and using the stairs instead of the lift. Participants record their steps online, collect badges for reaching weekly step goals, and track their team's progress on the leader board. Have a question? Drop us an email at walkatwork@pathsforall.org.uk and we’ll do our best to help. A new walking and cycling route in Tyndrum which allows cyclists to bypass the A82 trunk road has officially opened. A walking initiative in Loch Lomond and The Trossachs National Park is helping improve people's health and reducing isolation. In this article, Shetland LEADER tell us about a couple of their recent activities - an event to promote and discuss walking in Shetland, and taking part in the popular Shetland Food Fair.